Among one of the many features of VirtualDJ, in this article, we’ll be looking at how to broadcast live on your radio station. 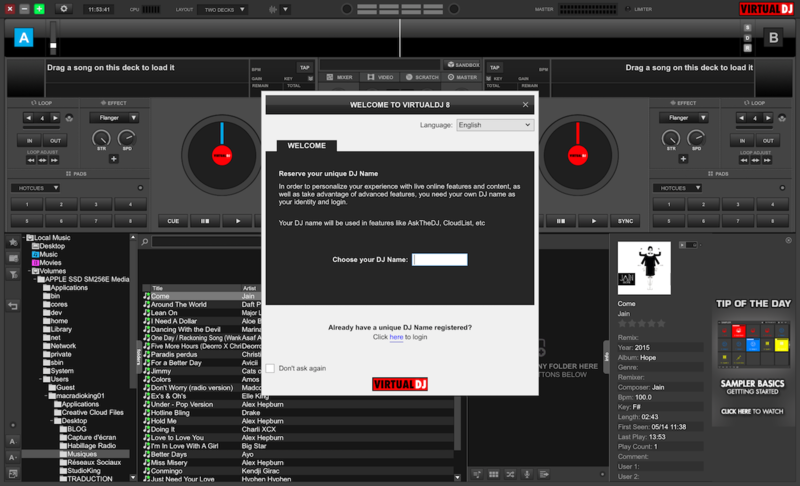 Once you have downloaded VirtualDJ, simply double-click on it to launch the installation. Click on next, followed by Install. Double-click on the software to open it. You’re then free to let your imagination run wild and choose your DJ name! To get started, you’ll need to create yourself a Pro VirtualDJ account. This step is incredibly important because without this account, you won’t be able to broadcast live. Once your account has been created, you will need to set up VirtualDJ. 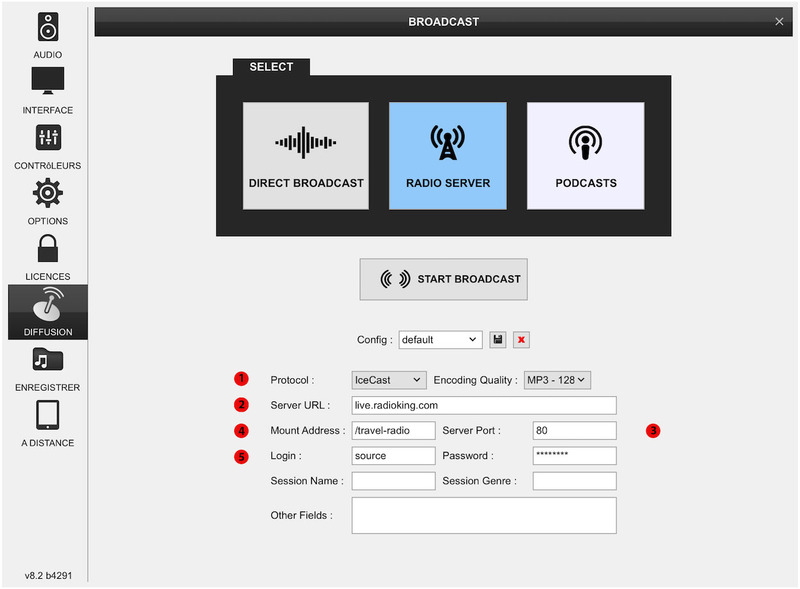 Then click on the BROADCAST tab and select RADIO SERVER. 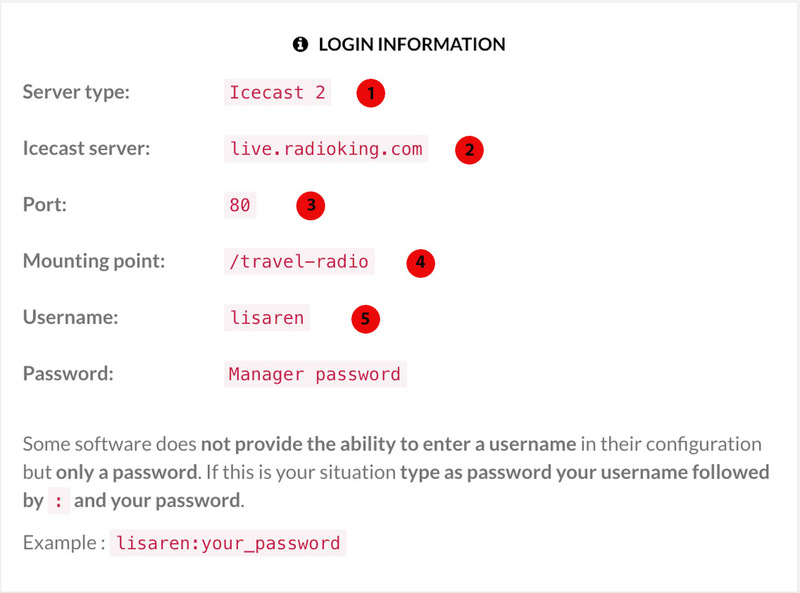 You will need to enter your live login information. You can find all of this under the Live > Informations tab on the Radio Manager. Start off by entering your Server type (1) in the field Protocol (1) and then the rest of the necessary information in the other fields. Select your encoding quality as MP3 – 128kbps. 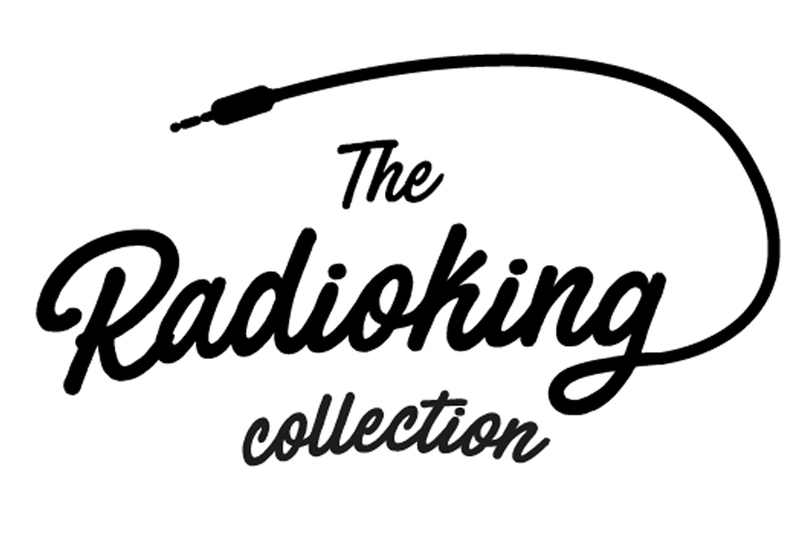 If your RadioKing offer allows for an HD stream, select 320kbps. Click on START BROADCAST. You should eventually see the option STOP BROADCAST. Click on this button when you wish to stop your broadcast. Once you’re connected, you should see the message: “Broadcasting on live.radioking.com” as well as the time that you have been on air. Now that you’re ready to broadcast, let’s take a look at how to manage your tracks. There are two possible solutions. You can either choose one of your tracks directly linked to your Desktop on the left-hand side of your screen. Or, you can drag and drop your folder into the box on the right hand side if your tracks are on an external hard drive. The last step, click on Play! 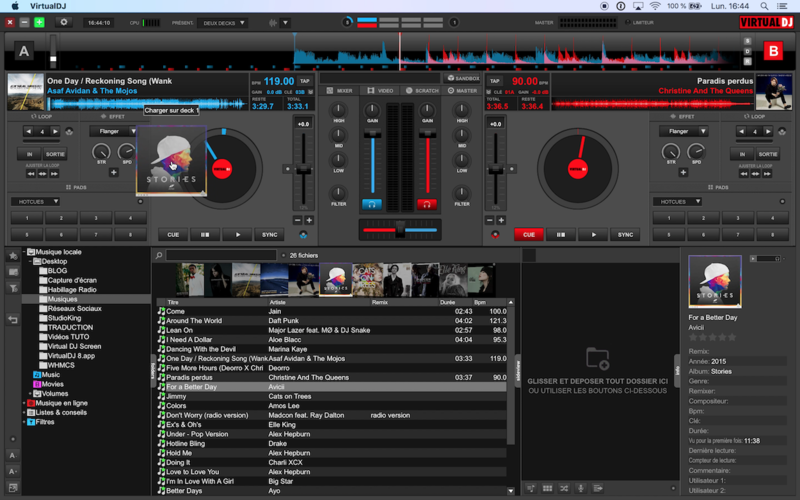 Virtualdj is the best for live broadcast with radio servers and directly in the social network!